A pair of Buffalo Nickels, one Indian Head obverse and the matching buffalo reverse, grace this authentic western styled belt buckle. Carson City Belt Buckles include: tortoise shell enameling on gold plated buckle, 24K gold plated coin bezel, Lenscote protection. 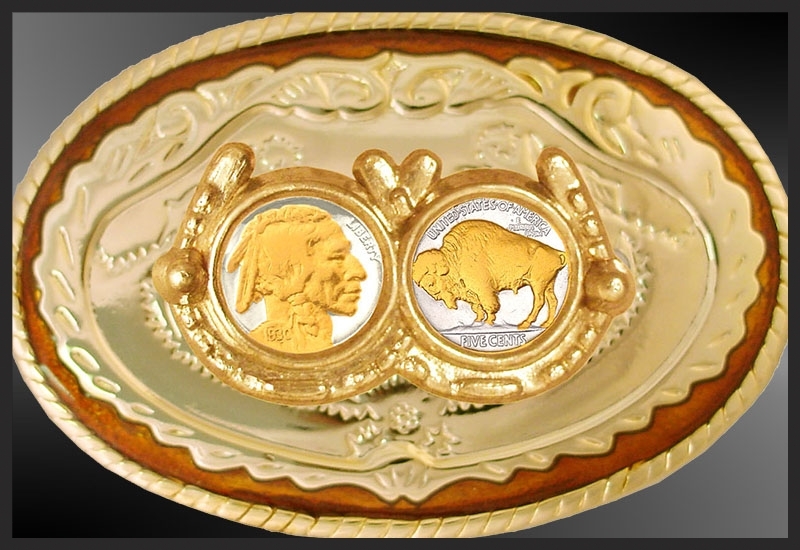 A pair of Buffalo Nickels, one Indian Head obverse and the matching buffalo reverse, grace this authentic western styled belt buckle. Restored with painstakingly accurate 24KT gold highlights, the Buffalo Nickel is one of the most popular American coins ever produced. 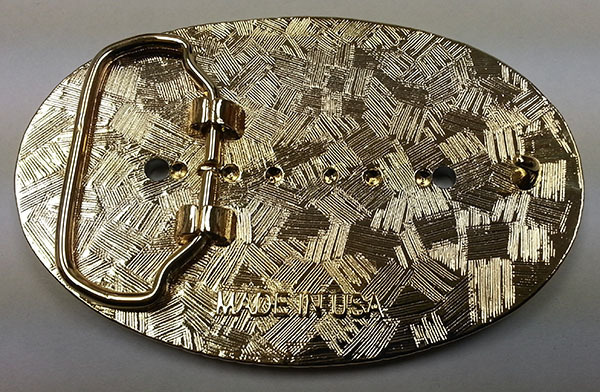 Carson City Belt Buckles include: choice of tortoise shell (or 3 other colors)enameling on gold plated buckle, 24K gold plated coin bezel, Lenscote protection. Certificate of authenticity, uniquely numbered signet and lifetime warranty against defect. Buckle dimensions: 3.75in wide x 2.5in tall x 0.125in thickness. Fits up to 1-1/2" wide belts. I really like your Buffalo Nickels Belt Buckle. Over the years I purchase 4 other buckles. They are real conversation pieces. Keep up the good work!